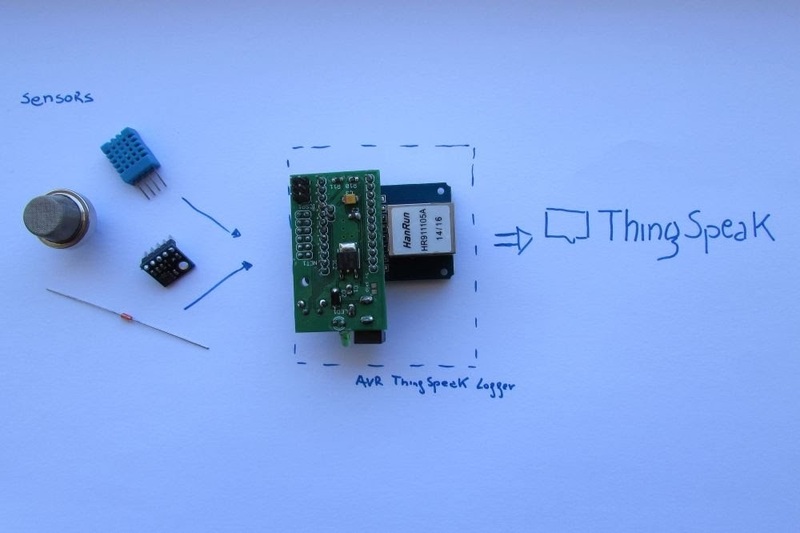 ThingSpeak is an open source Internet of Things (IoT) application and API to store and retrieve data from things. It is an on-line database service allowing developers to connect sensor-derived data (e.g. energy and environment data from objects, devices & buildings) to the web and to build their own applications based on that data. This project is an update to the Xively logger presented here: http://davidegironi.blogspot.com/2014/12/a-web-configurable-xively-logger-build.html. LogMeIn will retire this legacy version of Xively, that is Xively Personal, on January 15, 2018. For this reason I've made an update to my previous logger in order to update my products logger to ThinkgSpeak. If you are going to use this logger, please read the linked post link about the Xively version. This version is almost identical to the Xively one, just a few things has been changed to meet the ThingSpeak RESTful API. The POST method it is used to send data to Thinkgspeak. Even this version has a network interface you can use to configure the Ip address and connection mode, and your ThingkSpeak API key and feed number. If you are using the priouse version you have to update the main.c and main.h code files, and the _xivelygetdata methods of you sensors implementations, this function has been renamed to _thingspeakgetdata. Also, all the previous reference to xively has been renamed. The hardware used is an ATmega328, running at 16Mhz, for this reason one can also use an Arduino board. The network board used is based on the EC28J60 IC.